Australia can rightly claim to have pioneered direct property and infrastructure investing, also pioneering new investment structures, such as co-investments. But the times they are a changing. Liquid assets, due to demographic shifts, are now more important. But here’s the rub: listed infrastructure is cheaper than unlisted. 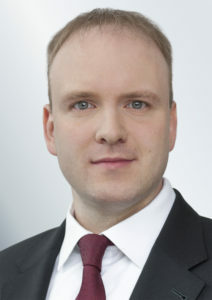 According to Matthias Meyer, the head of liquid real assets (investment specialist for APAC and EMEA, based in Frankfurt) at DWS, which is the re-branded Deutsche Asset Management, the arbitrage between listed and unlisted is changing. But, at the moment, listed is still cheaper – even for the same underlying assets. What happened to the liquidity premium? “If you look at mature assets on the liquid [listed] side, there is some short-term equity beta to showing through. The longer the period you hold them, the greater the correlation to direct infrastructure as well as the alpha possibilities,” Meyer said on a trip to Australia and New Zealand last week. If you own the asset for more than five years, and do a comparative study on how it compares with its listed or unlisted counterpart, you will find a high correlation. So, maybe, this listed infrastructure bonus is a furphy? Meyer says, however, that infrastructure assets offer unique characteristics within a portfolio. And sometimes, such as Sydney and Auckland airports, the only way to buy in is through the listed market. Meyer says that DWS expects infrastructure to grow over the next several decades. He believes that both the listed and direct markets will continue to grow, too. The listed market, interestingly, and notwithstanding the pricing anomaly over the liquidity premium, is still in the infancy of its growth. Meyer is a bit of a zealot. He says he believes that if fund managers, such as DWS, “do infrastructure right” then it will help “everyone”. DWS’s listed infrastructure portfolio is a concentrated one: between 20-50 stocks globally. Its investment universe is only about 100 names, given its screening criteria. The manager appears to have, as yet, not gone down the track of investing in hi-tech ephemeral companies, such as those that build “data lakes” and various “cloud” infrastructure and, it must be suggested, may not be around for very long. But Meyer says DWS is certainly studying the developments. Infrastructure is about to get a whole lot more interesting.